Accelerate Your Zazzle Experience | Free Resources - Success! This is the meat and potatoes of the Zazzle How2 site. Here you'll find many free resources for design, production and marketing. If it's listed here, we've either bought it, used it, read it, watched it or wrote it. These are our best recommendations to help you accelerate your Zazzle experience. 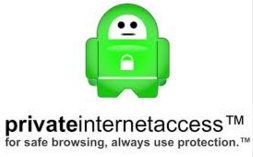 Whether you are using your computer at the local cafe or while traveling the world, a virtual private network will keep people out of your computer. We started using PIA in China so we could use Google and Facebook. Now we use it all the time and also have it on our phones and iPads. About $3/month. Recently my MAC was attacked, getting hit with trojan horses for two days. We've been using Bitdefender for a couple of years. I was very grateful we had them. Also for PCs. A wise business decision at $5/month. WeGraphics has many free graphics that can be used commercially. Or for just $7 you can get a month's access to everything. We chose the $69 year long subscription to give us more time to download. Take a look. Graphics Factory has redefined clip art. High quality images in vector formats for unlimited sizing. 2.3 million of them. They don't have free graphics, but 1, 3 and 12 month memberships that are inexpensive. We have found this to be the best starting point for anyone getting started in using free commercial use graphics. This Wikipedia page has an extensive list of public domain image sites. Plus plenty of reading to help you navigate licensing legalities. Every Monday Creative Market offers several free use resources. Their prices are very reasonable should you find some to buy. Our last purchase was a set of Photoshop actions. This link takes you to this week's free goods. Personalization options make your products more attractive. 3D text even more so. Here is how to make 3D text on Zazzle. Our second Zazzle How2 eBook has an extensive section on free commercial use design elements including images, shapes, fonts and more. Check out the Table of Contents with this link. Next to finding graphics, help in marketing and promotion is what we get the most questions about. And everyone has a different level of experience. New Zazzlers are trying to figure out Twitter while more advanced sellers are thinking about web sites and email marketing. We've structured this list starting with basic marketing information and ending with more sophisticated tools. Social media is a basic "Must Do" to promote your products. We use several online tools for managing our social promotions and Hootsuite is one. In addition to the free trial, there is a "lite" version that is totally free. We have several Twitter accounts set up in vertical markets and this little tip will help us develop targeted followers. Twellow is good little tool. Yes, you can send out your own emails, but when you start to get some volume, your ISP will consider you a spammer. That's why you need a recognized pro. Further, you get many great tools to help build your list. We've used several email providers. We still like Constant Contact, but we have now moved everything to AWeber. We have several web sites with Weebly. You are at one now. Easy modular designing so anyone can make a web site. Hosting is included. Your first web site is free! KidsAndMoneyToday is about Google + but the process is the same for any social medium. See her related videos for those and more on RSS feeds. There are many ways to get your products pinned to Pinterest. 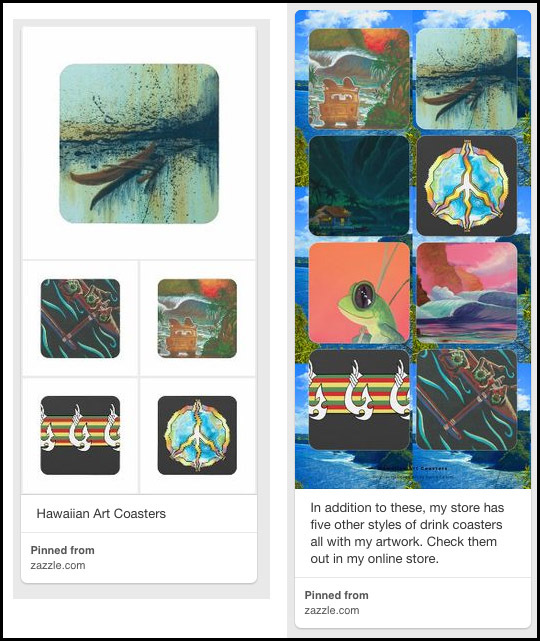 Via Zazzle, make your own or use this great free service, PinnableImages, from a fellow Zazzler. Superior pins. An inexpensive but powerful marketing tool is a custom web address for your Zazzle store or any online site. It is best to keep all your custom urls in one spot and we use GoDaddy. It is easier than you think. We only had a vague idea what the Zazzle Store Builder was. After watching this video from 2009, we've put creating a couple of these types of web sites on the to-do list. Good to have an understanding even if you are not ready yet. This is the companion video to the Zazzle Store Builder video to the left explaining how you can highly target the products that go into a web based Zazzle store. With the advent of our new eBook on marketing, we've been asked many times who we use for auto-posting to Twitter. We've used nearly every one but now we use Twibble. 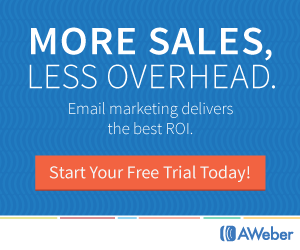 We've used Constant Contact for years for ourselves and for our clients' email marketing. We like Constant Contact's ease of email creation. Free for two months! We've worked with several eBook publishers and eventually moved all our publications to e-Junkie. You can also use e-Junkie to sell image files. Anything downloadable. Affordable at $5/month. This video is a tutorial on how to get your Zazzle store products embedded into your WordPress site without having to write HTML. ShopaholicChick's video on making templates is from May 2011. Even though the interface has changed it's still the best on this topic. Be sure to watch at least through mug creation to understand multiple image templates. How2 Use Quick Create. Quick Create is a must have skill to accelerate your product creation. The process and concepts are basically the same now as in this 2009 video. It is our recommendation that you build your own templates for QC. 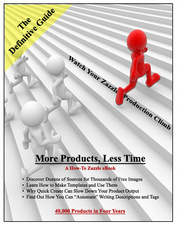 Our second Zazzle How2 eBook is aptly titled "More Products, Less Time". How to best use QC, work flow strategies and resources we've used to save time and maximize product creation. Check out the Table of Contents with this link. A popular and FREE resource that gives a quick overview of the various PODs. Just updated. Likely you will find these comparisons a timesaver. We are big fans of anything that will help save us clicks and time. 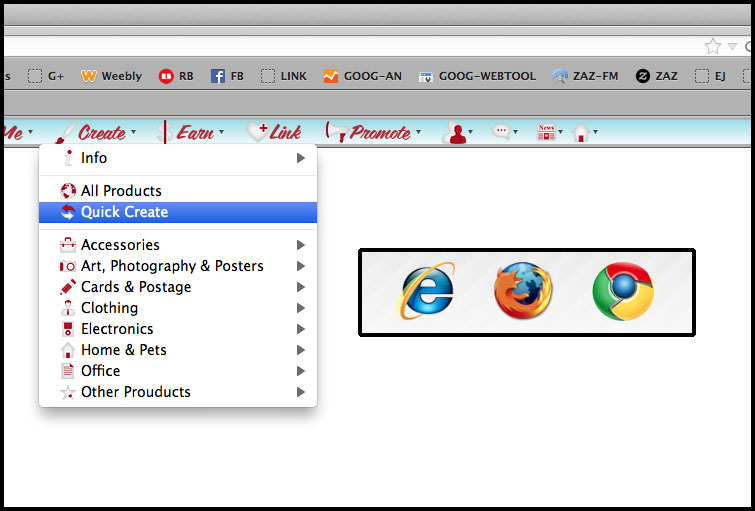 The Free Zazzler Toolbar is one of them. Created in 2008 and recently re-updated, it has quick direct links to all the Zazzle pages you need. RSS feeds for the Z blog and forums. Customizable. Easy on/easy off/easy remove. Visit the Zazzler Toolbar Facebook page for details. See how you like it.